I love picture books for many reasons. The fact that the picture book is a work of art is just one of those reasons. This week I was especially charmed and captivated by the art in the picture books I read. A bear finds a piano in the forest and learns to play. When he is invited to the city to play he is hesitant, but goes along for the journey. Although bear becomes famous he misses his friends. The messages within this book are related to friendship, following one's dreams, and an appreciation for music. The detailed illustrations within this book, in which the forest and the city are equally beautiful, make this book worthy of many rereads. Hector and Hummingbird are best friends living in the mountains of Peru. When Hector decides he wants some peace and quiet, he tells Hummingbird to leave him alone and goes off into the jungle. Hector soon realizes he doesn't feel quite right all by himself. This is a sweet book about friendship and learning to appreciate and get along with others. The illustrations in this book are amazing because of the detail and color. Shades of green and bright splashes of pink and blue make each page pop with color bringing the jungle to life. This is a picture book to spark creativity and imagination. 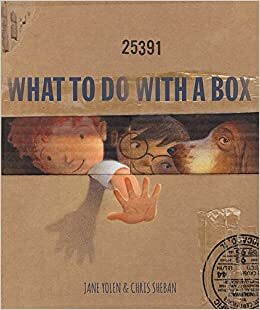 Throughout the book, a boy and girl show the possibilities for using a cardboard box. The box is transformed as they go on imaginary adventures. There is not a lot of text on each page, but it is poetic and captures the beauty of a child's ability to imagine. This is another book with beautiful illustrations. The authentic looking cardboard box adds to the charm. I've just read The Bear and the Piano and fell in love with it. Would be featuring it for our upcoming reading theme. I think students will love it, too. I will be getting The Bear and the Piano tomorrow. I've heard such wonderful things, I can't wait to read it! It's sweet. I think you'll like it. Nice looking books. I don't read as many picture books as I should. Here is what I read last week. Happy reading! I love picture books so I read a lot of them. I feel like I don't read enough young adult novels. 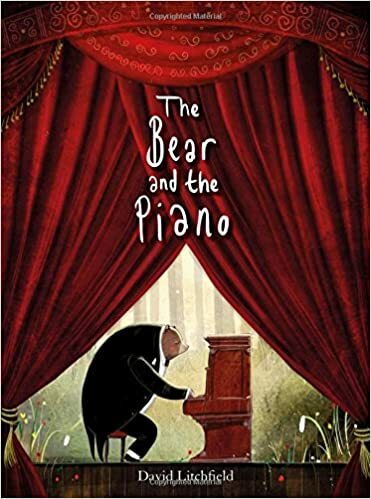 I adored the Bear and the Piano, I was luck enough to get a preview of it and couldn't wait until I could get my hands on a copy. Such a sweet story with lovely illustrations. Thanks for sharing! I read a borrowed copy, but it's definitely one worth having my own copy. I'm creating a list of bear books, and now you're shared two more I don't know. Wow! There are many. Thanks also for the book about the box. I do know of it, but still haven't read it. Thanks! There are so many bear books! There are some good ones, too, that aren't recently published, but older. Love the classic Little Bear! David McPhail has so many books about bears. Bear Snores On and the other bear books by that author are cute, too. The Bear and the Piano and Hector & Hummingbird aren't available at my library yet, but I've requested What To Do With a Box. Looking forward to reading that one, because I have such fond memories of playing in boxes as a kid! 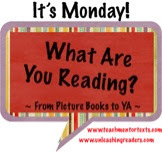 Hope you're having a great week of reading.